Click the button below to add the 5.11 Tactical 2-Banger Bag to your wish list. 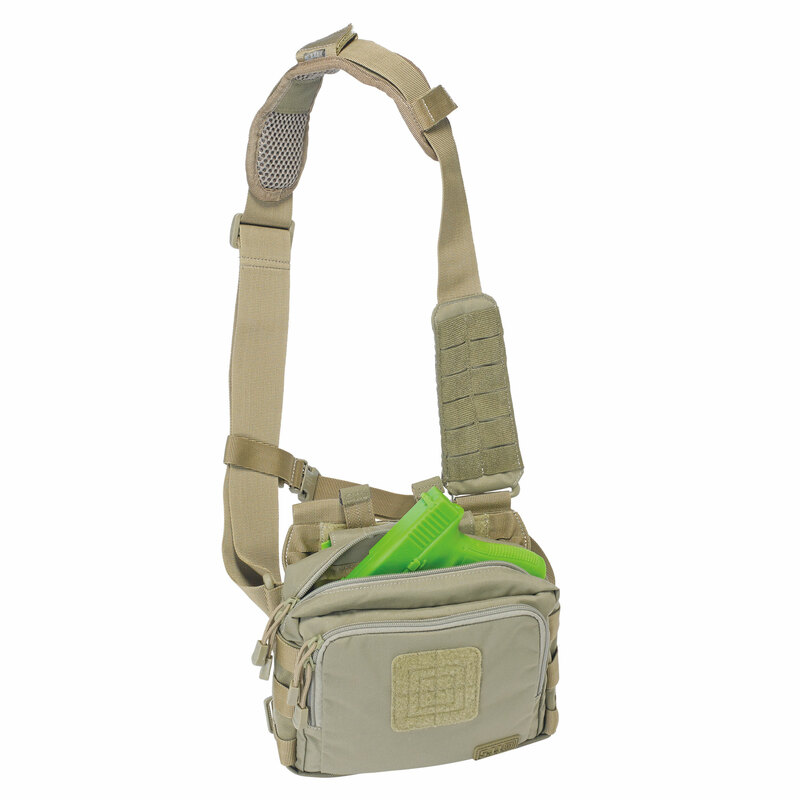 The 5.11 Tactical 2-Banger Bag is an easy to use modular bag that lets one carry two AR magazines and accessories. Designed for quick prep or urgent tactical operations, the 2-Banger Bag is a perfect replacement for bulky full mission or active shooters bags. 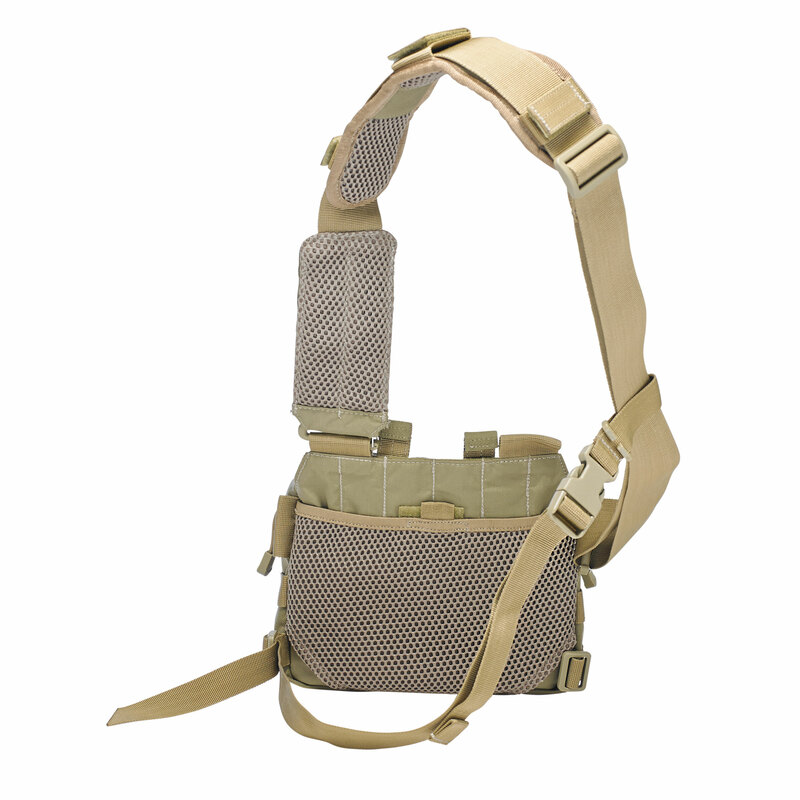 The main compartment of the bag can accommodate two fully loaded 5.56 magazines secured by elastic bands and compression straps, and covered by a choice of either a traditional flap or bungee cord. 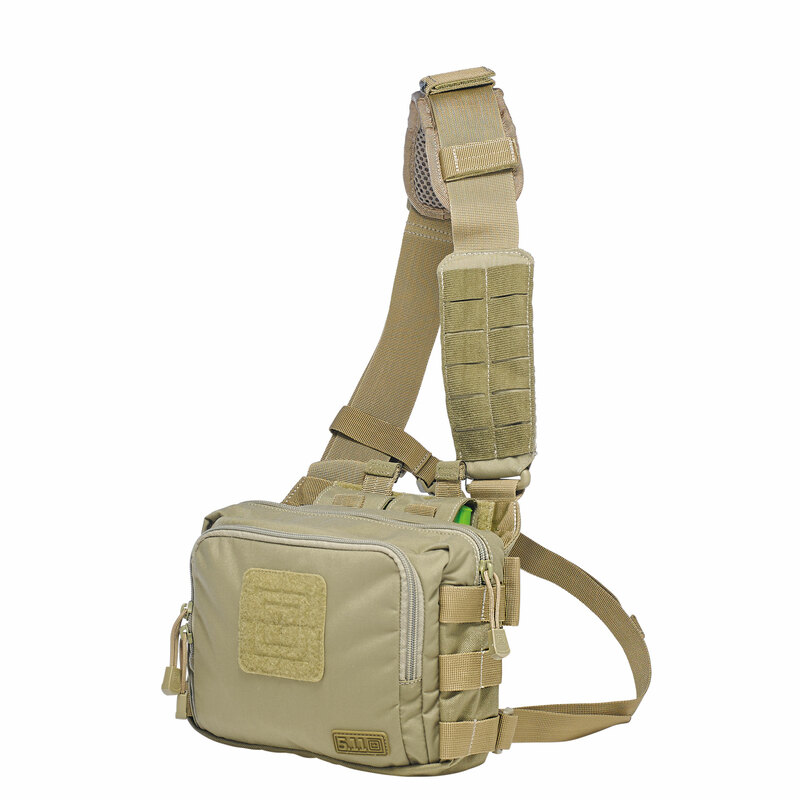 The 5.11 Tactical 2-Banger Bag features a secondary forward-facing pocket with dual zippers that can store documents, optics or maps; a compartment at the rear for carrying concealed weapons; and a 3x3 loop patch at the front for attaching any patch of your choice (sold separately). Built from 1050D nylon fabric, the 5.11 Tactical 2-Banger Bag has a front storage pocket, laser cut web platform, and an adjustable padded shoulder strap to provide comfortable carry.